KILLING JOKE UNVEIL NEW VIDEO & SPECIAL LONDON SHOW! KILLING JOKE have unveiled a brand new video and announced a special London headline show this autumn! ‘New Cold War’ is taken from the band’s latest album Pylon, which, on its release last year, gave the band their highest chart position in 21 years, and their third highest ever! 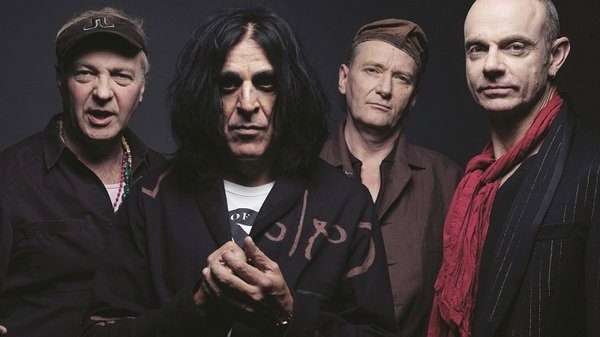 Killing Joke have announced that they’ll be headlining London’s Brixton Academy on Friday 4 November. The Great Gathering will feature a carefully selected supporting cast to be announced in due course. Tickets go on sale at 10am on Friday 1 April here. As previously announced, Killing Joke play the Bearded Theory Festival, Derbyshire on Friday 27 May and Rockaway Beach, Bognor Regis on Saturday 8 October. ‹ VICE SQUAD BOOK LAUNCH!